I experienced him opening his Regina Saskatchewan show with, I’ll Remember You. Long forgotten emotions and memories poured out of me. Quite a surprise that night. To put this into context. Bob had just finished Disease of Conceit at the piano (the most exciting moment I have seen in more then 230 live Dylan shows attended). 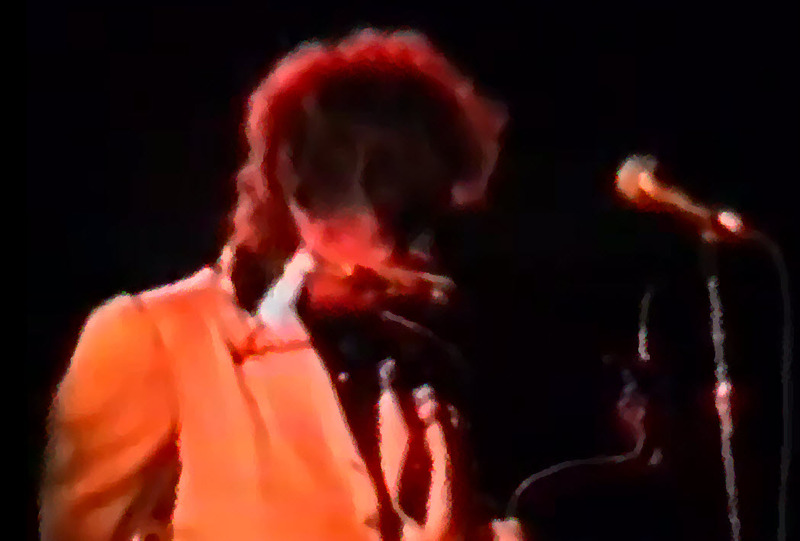 This video opens with Bob asking the crowd “Okay?” to which the response was somewhat ecstatic to put it mildly; this after 9 previous nights of him pointedly ignoring the grand piano. The band starts into Your A Big Girl Now but Bob speaks to GE Smith and they switch to I’ll Remember you. Without a doubt Bob’s tribute to the fantastic crowd and enthusiasm he’d had the previous 5 nights at Hammersmith and the preceding 4 nights in Paris at the Rex. I saw this all from the front row center seat I had that night. Quite extraordinary times.